For years I had dreams of getting a flat-faced kitty. I had even put it on my Christmas list when Casey and I started dating. Christmas would come and go and I’d be relegated to putting off my dream for a kitty until another time. 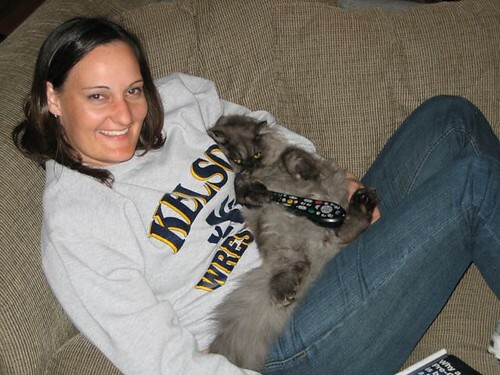 I had always loved the look of long-haired cats and thought Persians to be a interesting looking high-brow type of cat. Which is funny because I am anything but a high-brow, high-maintenace kind of person. 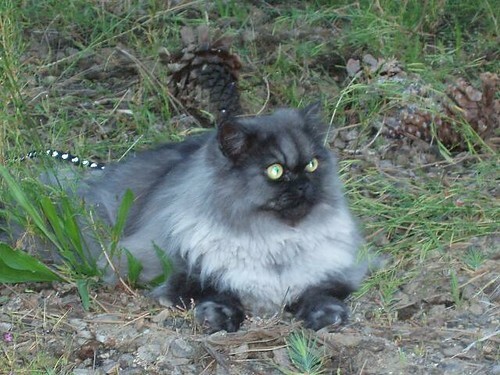 The truth is some Persian cats are so damn ugly they’re cute. That’s kind of what drew me to the breed. Fast forward to Christmas 2005. Casey and I were newly married and had planned to spend Christmas in Washington State with his family in honor of our switching between family every holiday agreement. We had gotten there on a Thursday evening, Christmas wasn’t until Sunday. Soon after our arrival we were all visiting in the upstairs family room. Casey ran downstairs to take care of something. The next thing I knew he was climbing the stairs with both hands in his front sweatshirt pouch. A mischevious look was plastered on his face. If you know my husband, he is the originator of the mischevious look. It involves deep dimples, a crooked little smile and head cocked just so. He’s been perfecting it since he was 2. I was shocked and elated all at once, we had officially become a family. Traveling home on the airplane with the little bugger was an experience but he quickly wound his way into our hearts. This entry was posted on June 27, 2009 at 8:00 am	and is filed under Family Adventures, Holidays & Events. 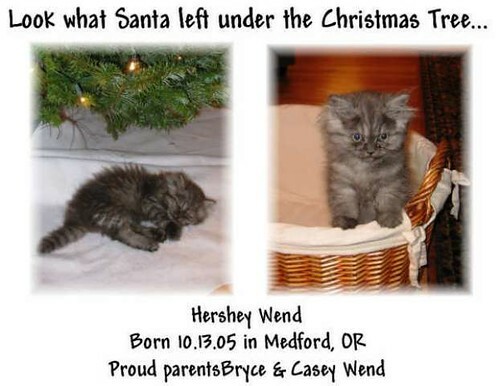 Tagged: cat, Christmas, family, Hershey, present. You can follow any responses to this entry through the RSS 2.0 feed. You can leave a response, or trackback from your own site.